I don't know about you, but I have been craving summer salads lately. 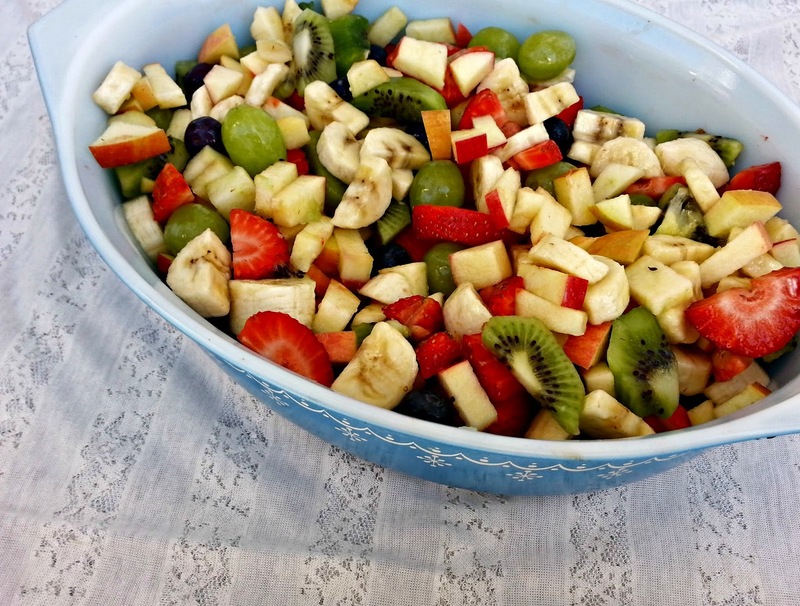 Salads that are chock full of delicious fruit. 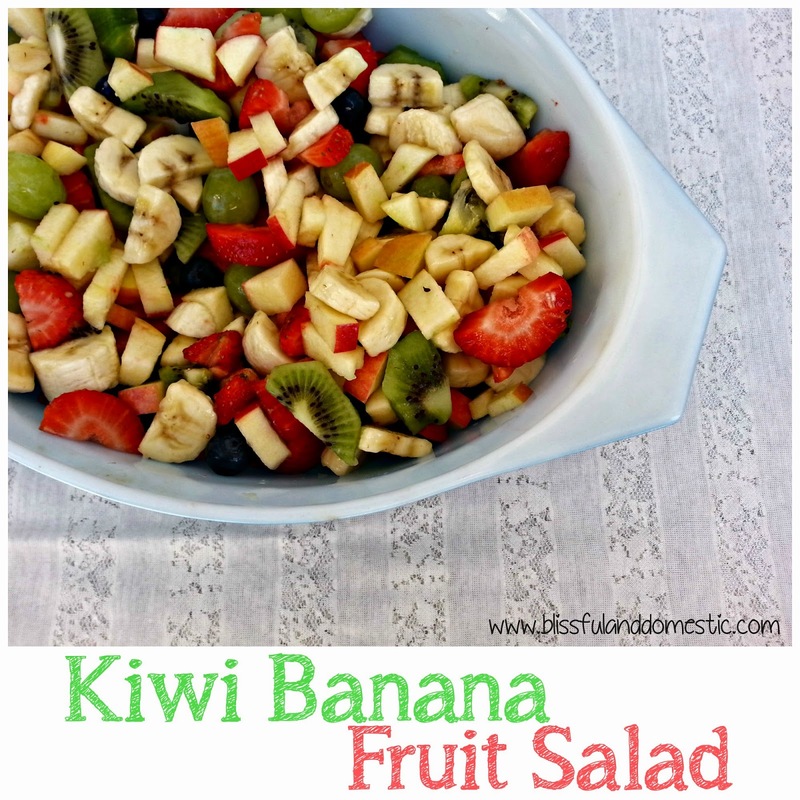 Berries, bananas, melon, pineapple, mango, kiwi, the list goes on. Delicious, sweet fruit has been on my mind lately and I wanted to share one of my favorite ways to eat that fruit as of late. 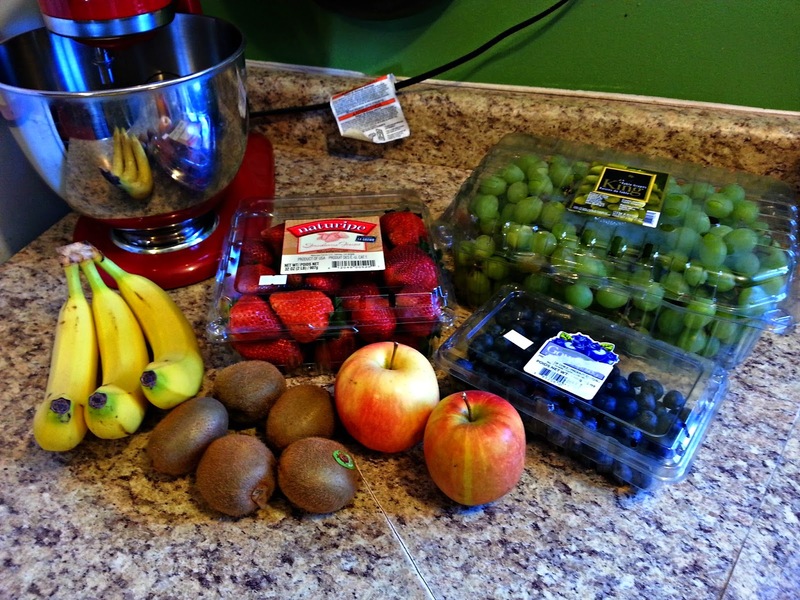 Anytime I am going to make a fruit salad, I take stock of what is on my counter and in my fridge. I look at what needs to be used up and what I can pair well together. The good thing about fruit, is that it pretty much all goes together. It really just depends on your own personal taste. Combine all fruit together and toss. Serve and enjoy! 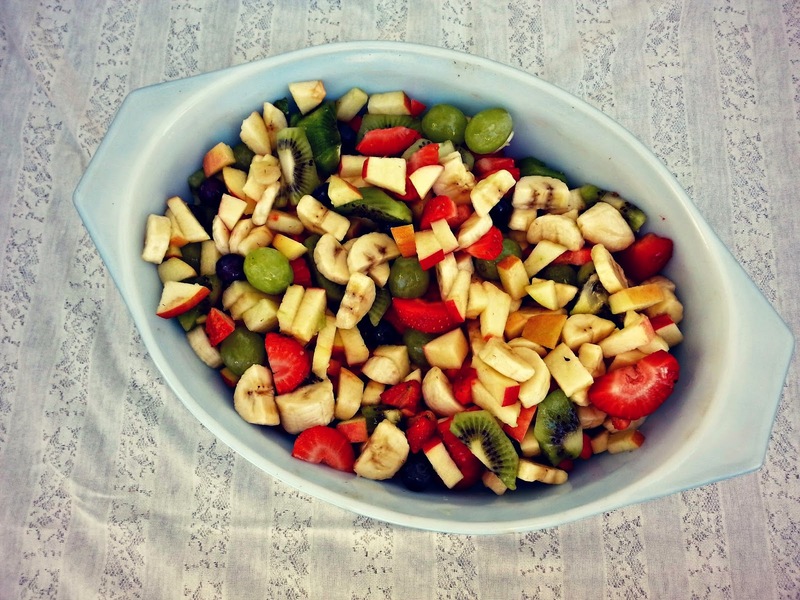 How do you enjoy fruit salad? How wonderful that you are getting to use your grandma's dish.. Such a treasure.. 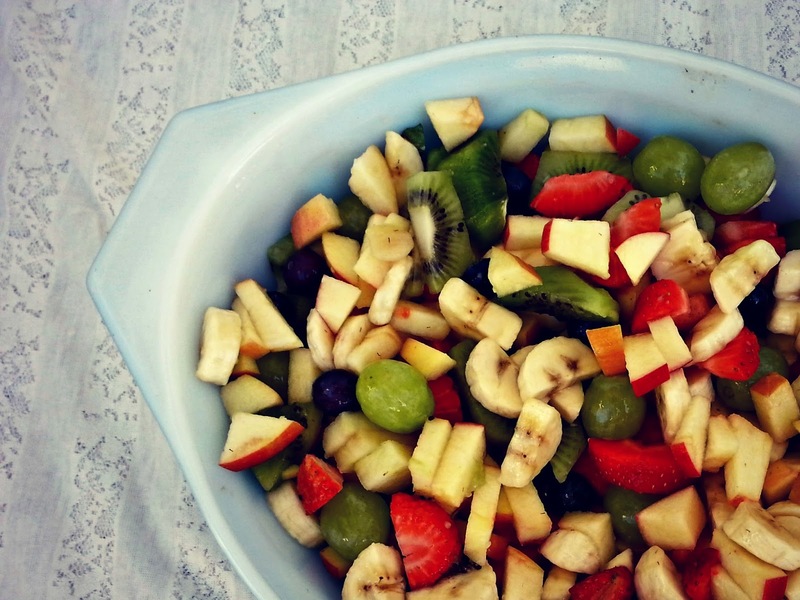 The fruit salad looks so yummy. Such a lovely variety of fruits.. I too, just use which ever fruits , I have on hand.. I sometimes, add cool whip and a box of sugar free jello.. [I just mix the box of jello to the cool whip, and then add the fruit..Ready to eat.. 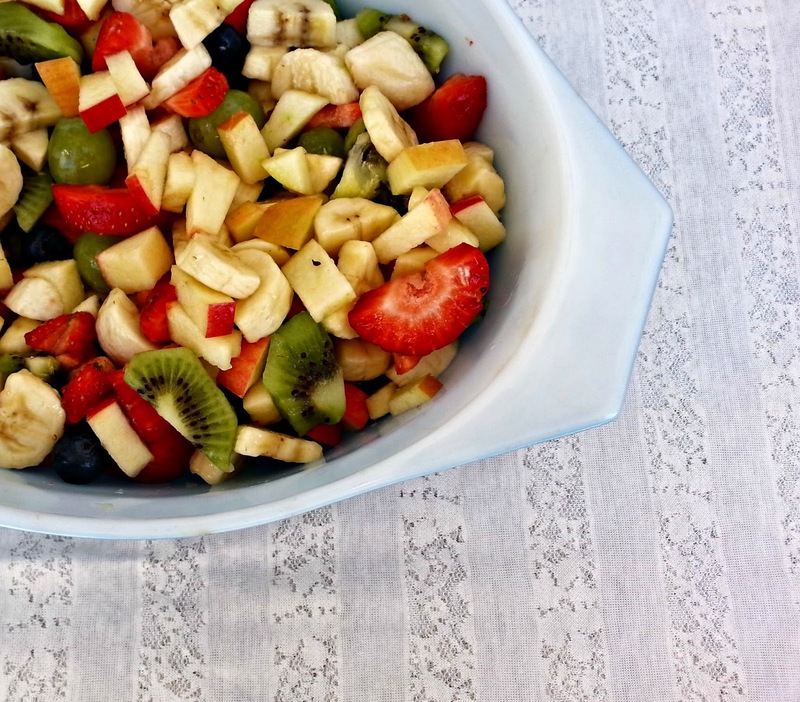 Your fruit salad looks SO good!! I am a big fan of fruit salads, too. I wanted to pass along a dressing recipe that will make your salad even more yummy. Oh, and have you ever added mandaring oranges to this salad?...I know you just bought some :) Give that a try if you haven't already. Note -- I take an extra tablespoon or two of lime juice and toss my banana slices in it before putting them in the salad. It adds to the dressing flavor, and keeps the bananas from turning brown and icky. In a small mixing bowl, whisk together they honey, lime zest and lime juice. Pour over fruit just before serving and toss to evenly coat (as it sits for a few minutes the juices will gather at the bottom, so toss again before plating). Looks amazing! Thanks for sharing. do the bananas go brown? Looks great!! When we do fruit salad at my house we make a yogurt topping of plain or vanilla yogurt with some finely shredded ginger in it. Just a little on top gives it an interesting addition to the salad.